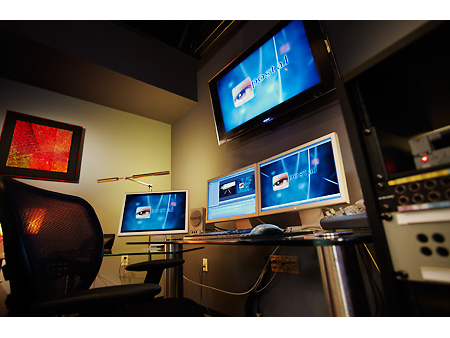 Postal is a full service post production facility offering three state-of-the-art suites for all of your editing, motion graphics and coloring needs. Housed in historic First Studio, Postal is a comfortable place to explore wild ideas – relax and let us do the work! With our clients we create powerful and beautiful stories. Contrary to its name, Postal is a relaxed space with the most powerful tools for editors and graphic artists to collaborate with producers, writers, art directors and other brilliant people. Every frame is an opportunity to create something beautiful and every project is an opportunity to create something powerful! Postal also offers the services of producers and post-production supervisors, including Randy Murray, Andy Nelson and Andrew Benson.